Dan Tripp was elected in November of 2018 to represent Greenville County Council District 28, which includes large portions of Mauldin, Simpsonville, and the Five Forks area. He currently serves on the County’s Planning and Development Committee and as Vice Chairman on the Public Works and Infrastructure Committee. Over his years of public service, Dan has learned that the best leaders listen to their constituents, learn and understand all sides of the complex issues they face, and then lead with strength and conviction. Prior to being elected to Greenville County Council, Dan represented the Golden Strip on the Greenville Legislative Delegation Transportation Committee – or C-Funds Committee – which approves funding for improvements to municipal, county, and state roads in Greenville County. In 1994, Dan was elected to represent the Golden Strip in the South Carolina House of Representatives and served in the legislature for 12 years. While in Columbia, Dan compiled a “squeaky-clean” conservative and business-friendly voting record. In 2006, Dan voluntarily left the legislature and returned to private life. As a small business owner, Dan has built Voter Contact Solutions, Inc. into a political marketing agency that has helped dozens of candidates and issue-advocacy organizations all over the United States. Dan resides in Mauldin with his wife and family. He attends Brookwood Church in Simpsonville and is an active member of Mauldin Rotary. 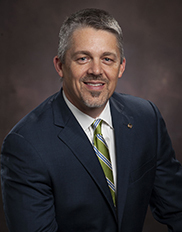 Dan earned an undergraduate degree from Suffolk University in Boston and an MBA from Winthrop University in Rock Hill.